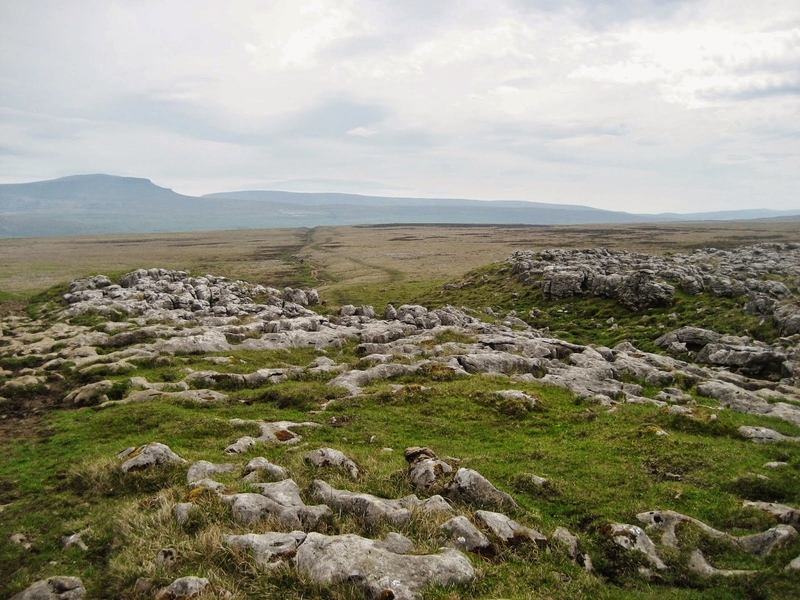 Sulber Nick is a major fault on Ingleborough’s lower eastern slopes, aligned east/west, with the best-known section overlooking Horton-in-Ribblesdale and forming part of the Three Peaks walk. 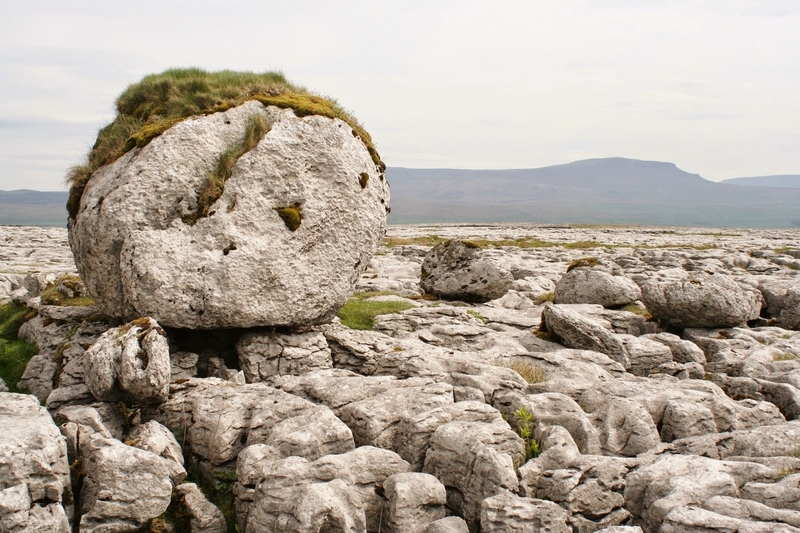 The area contains fine areas of limestone pavement and a number of glacially deposited limestone boulders. The fault has also been responsible for a number of interesting potholes: some of great depth. Sulber Pot itself (SD771737) (once known as Little Alum Pot) is a large open chasm 8 metres long and 4 metres wide, dropping into a large chamber at a depth of 22 metres, but there is very little horizontal development and this is no doubt a very ancient feature, probably the result of pre-Devensian meltwater exploiting the joint during ice retreat. A fixed ladder leads into the depths, but should not be used as it is loose and dangerous. A number of dolines are aligned along the fault, one containing the innocent-looking entrance to Nick Pot (SD770737) where water exiting Nick Cave once again plunges underground, though this time through a far more daunting passage. 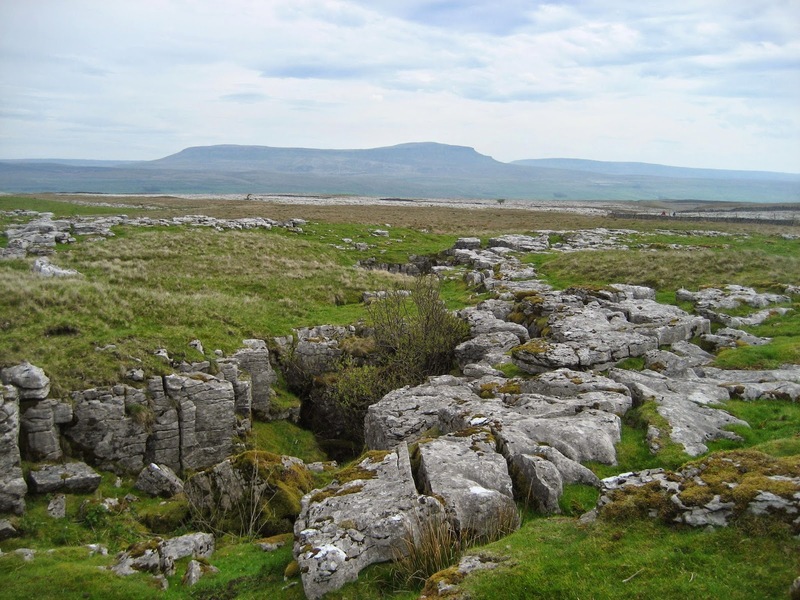 Nick Pot contains masses of loose boulders (fault breccia) and a series of drops along the fault, culminating in a final Big Pitch, 76 metres (230 feet) to the floor, and formerly the biggest underground pitch in Britain until Titan in Peak Cavern was discovered. Needless to say, its entrance should be left well alone. Hangman’s Hole, in a rocky shakehole close by, is a super severe (Grade V) pot containing even more unstable boulders and described in ‘Northern Caves’ as being ‘not for the faint hearted.’ One of the crawls has encouraged so many expletives over the years that is has earned the name ‘unprintable passage’; while deep pitches labelled ‘The Gallows’ and ‘the Executioner’ are not just merely descriptive, but sum up the experience perfectly. 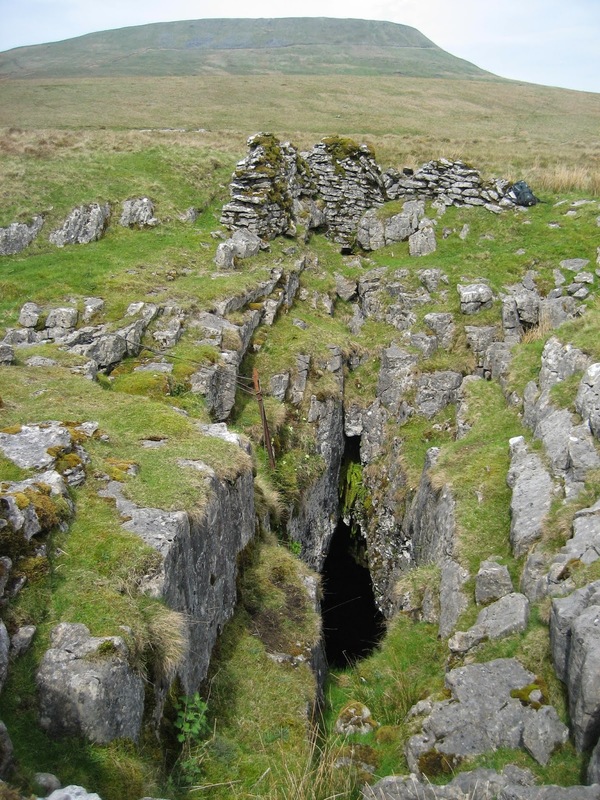 Both these classic pots end in sumps which eventually emerge in Crummackdale at Austwick Beck Head. Hangman’s is aptly named; it can be an agonising trip.